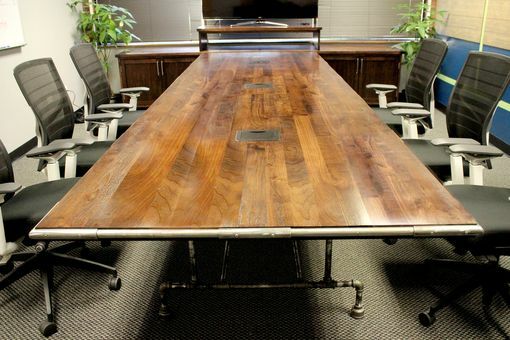 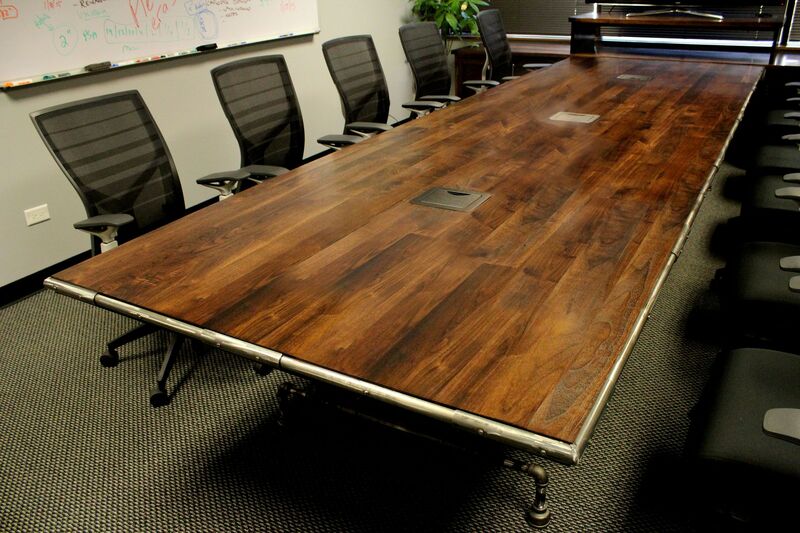 This custom conference industrial table with media cabinet was made of walnut wood. The table top was framed out of metal pipes. 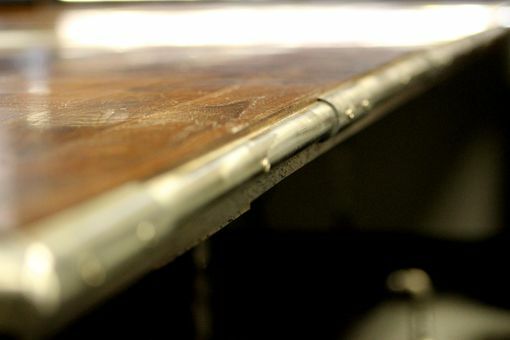 The table legs where made out of original plumbing steel pipes.